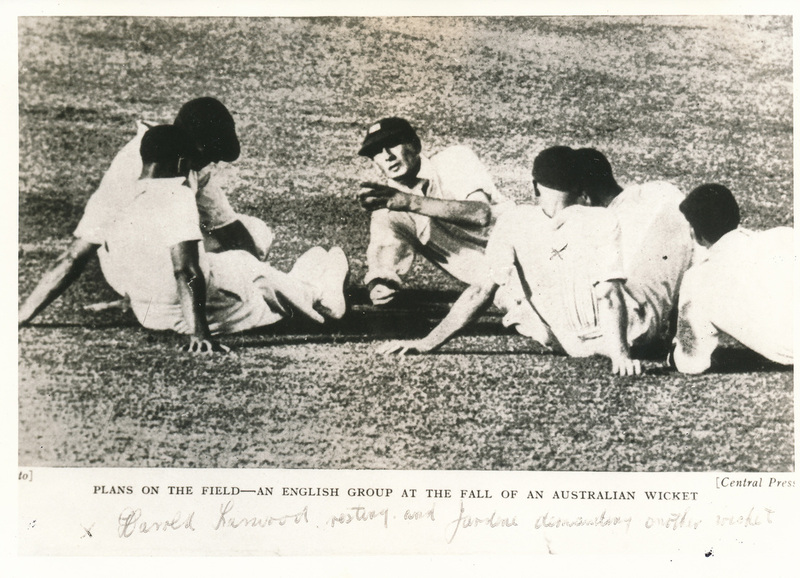 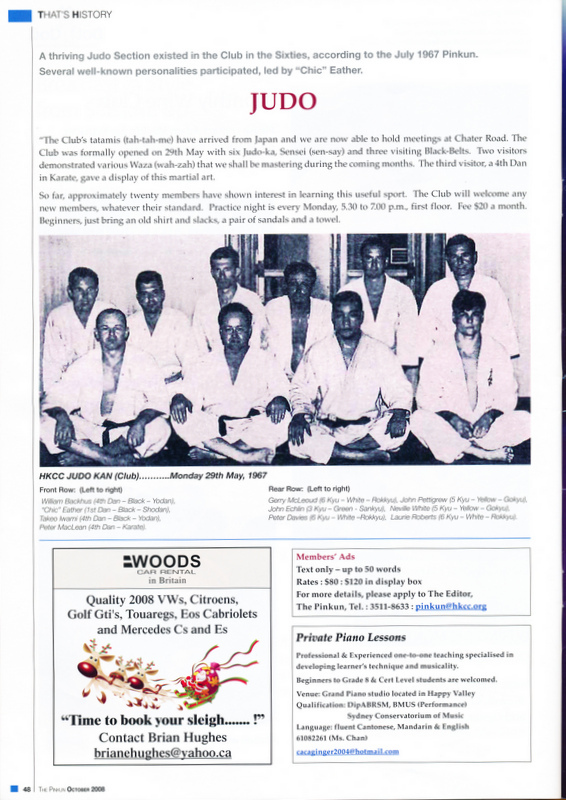 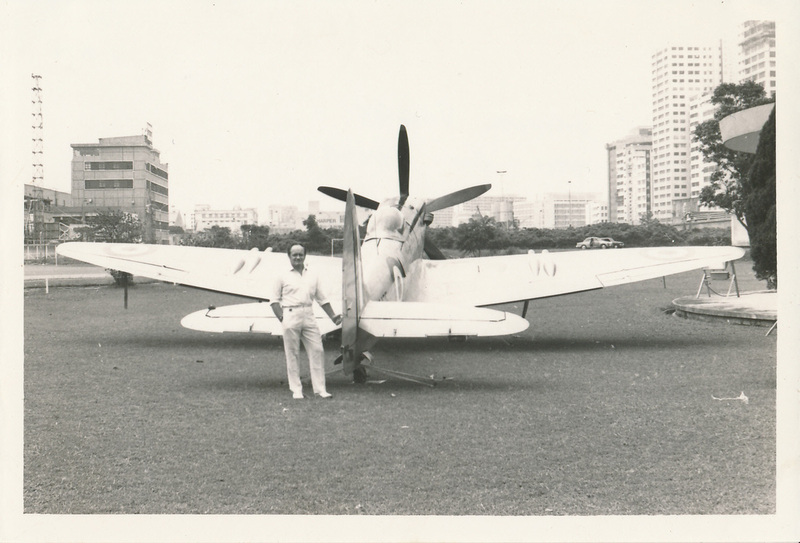 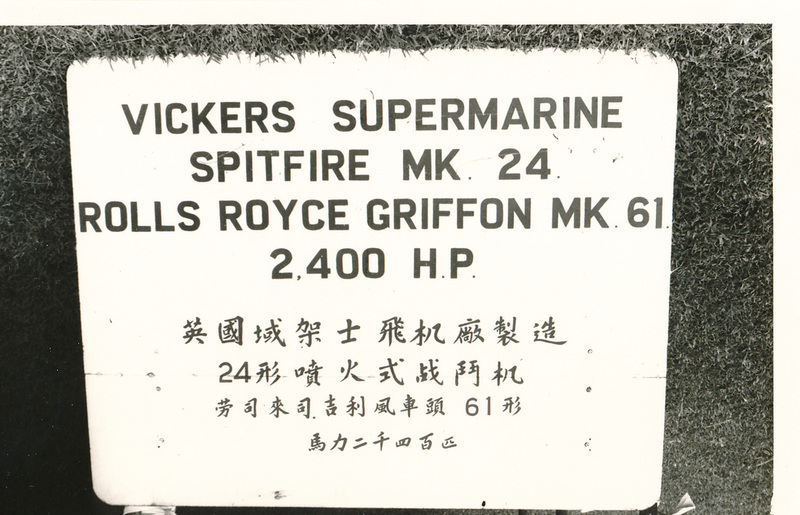 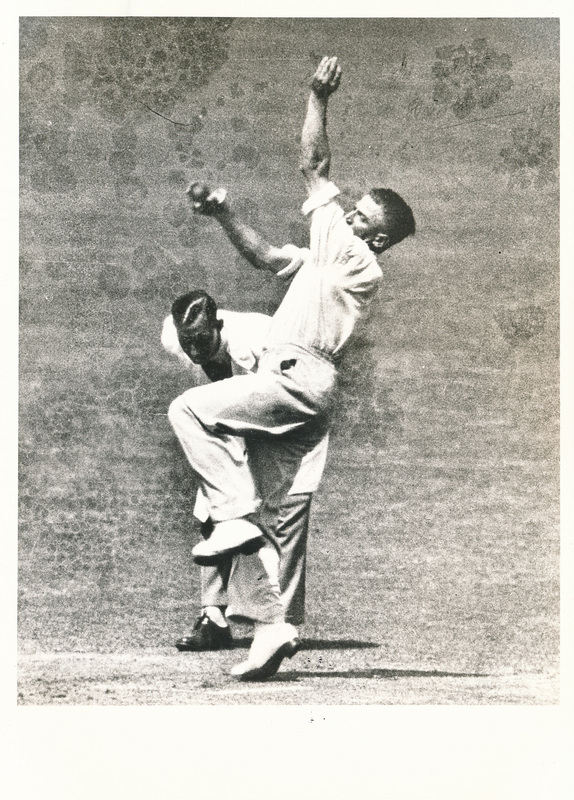 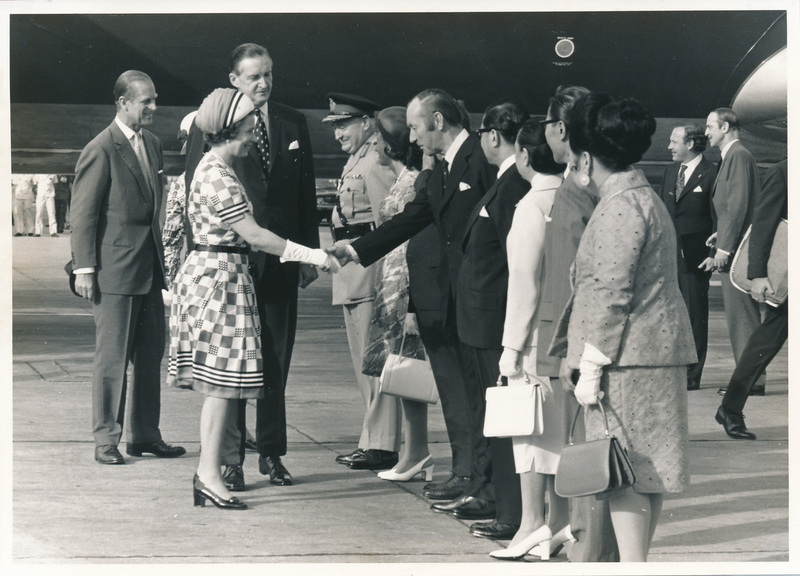 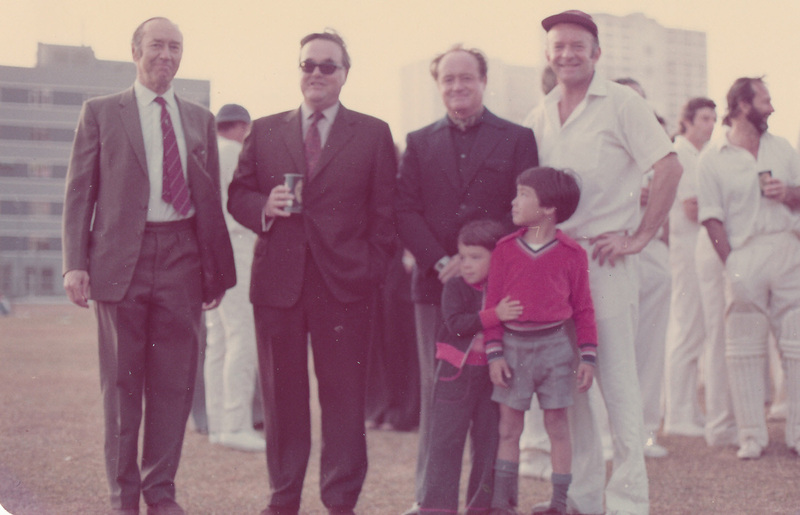 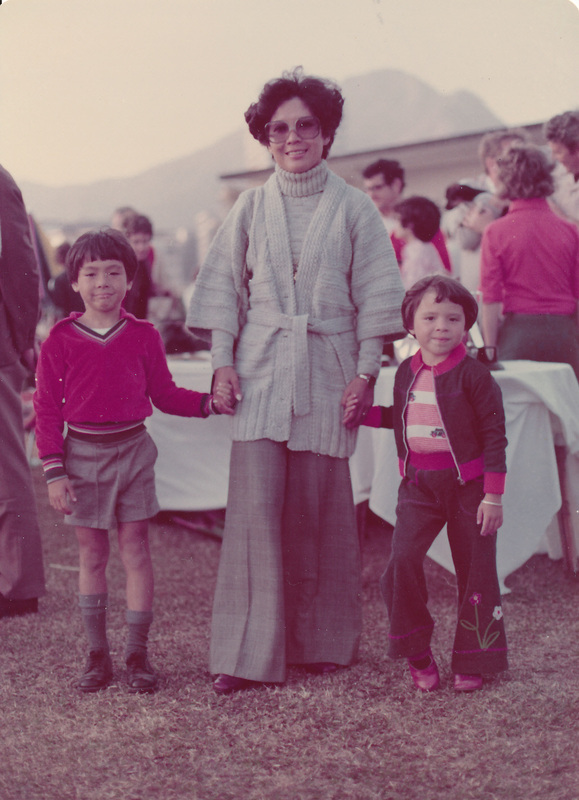 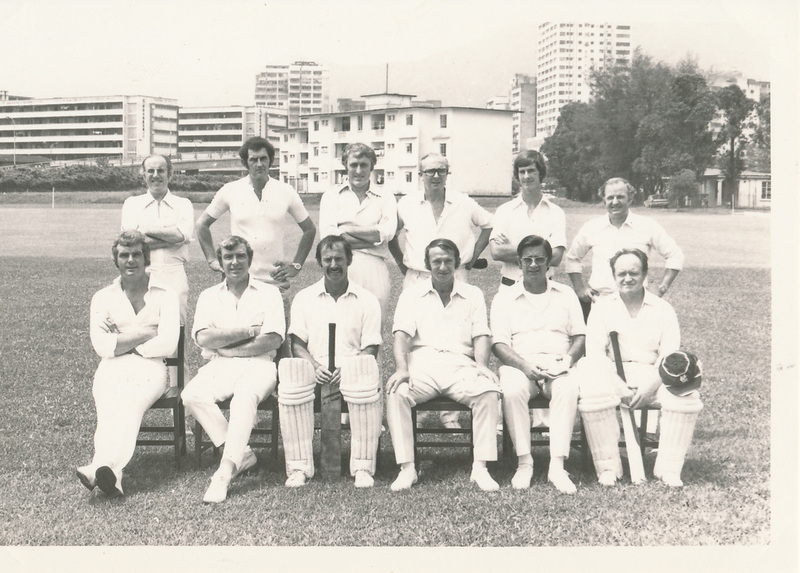 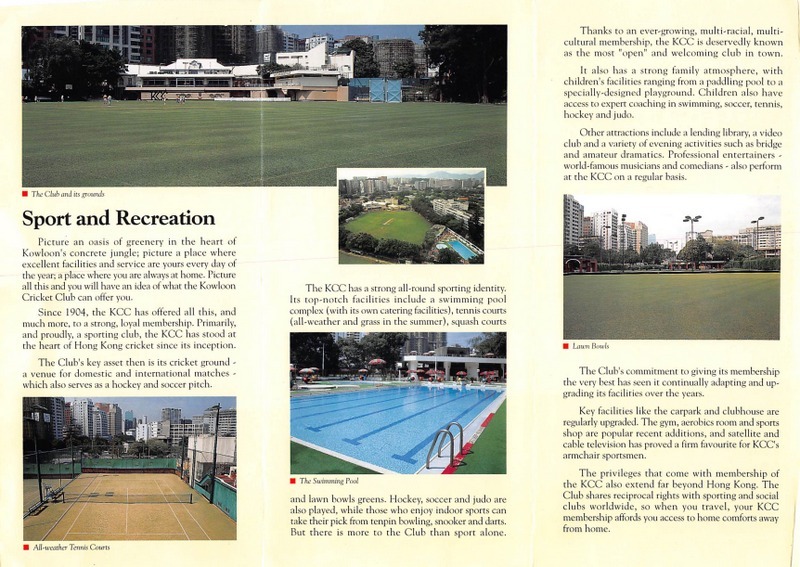 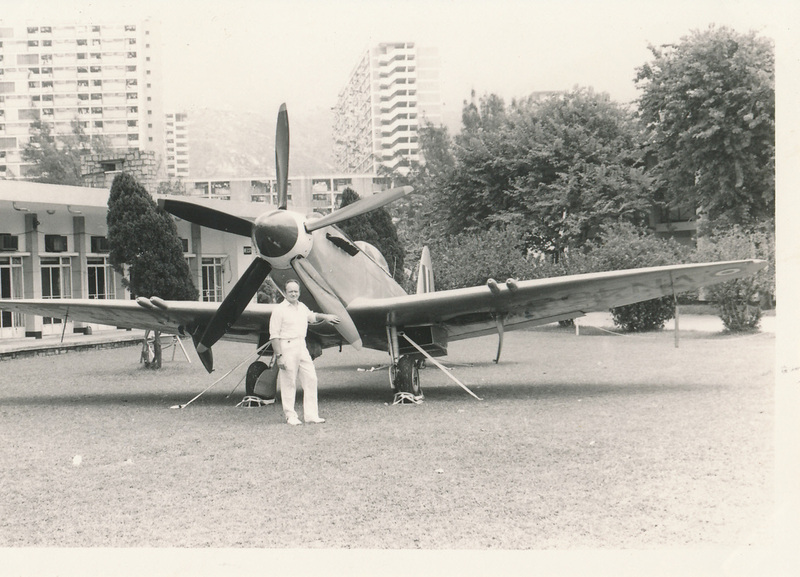 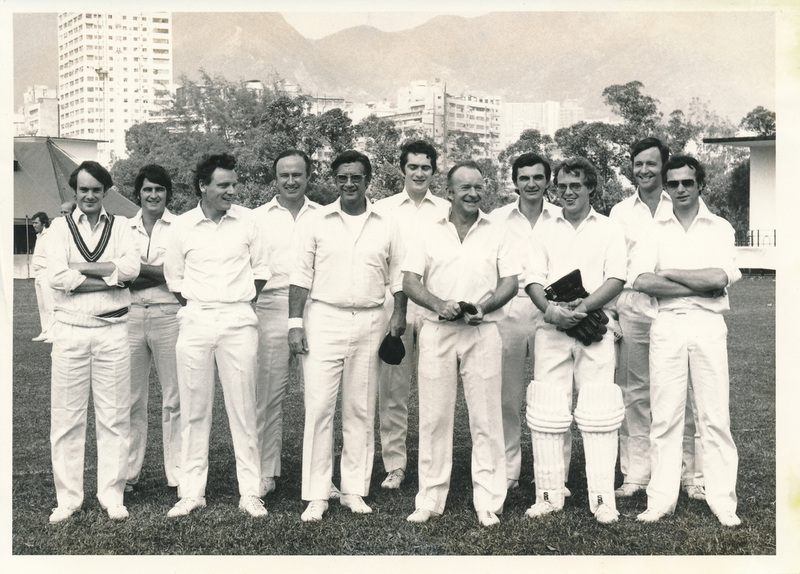 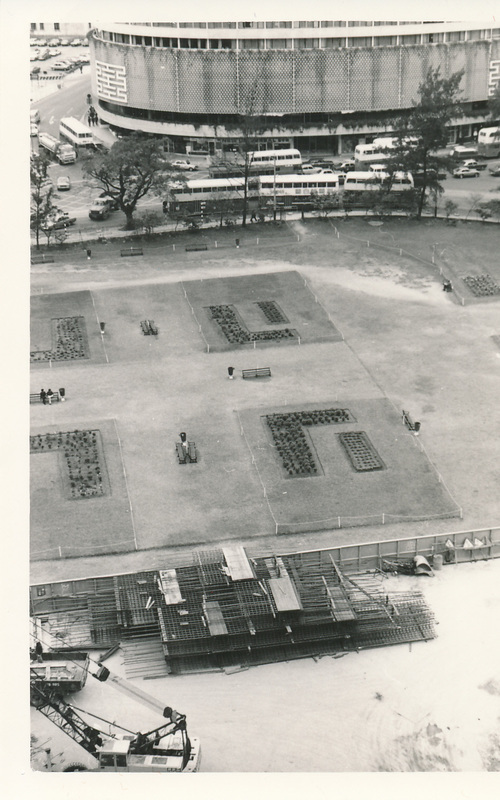 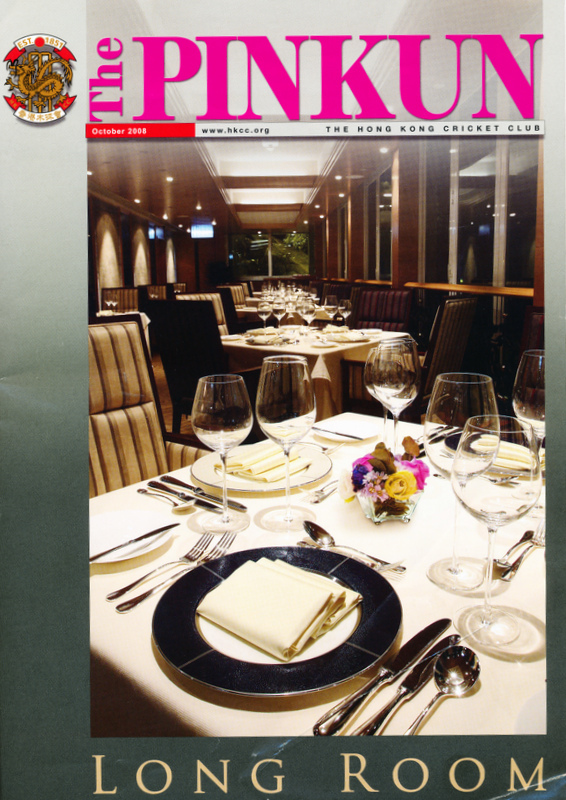 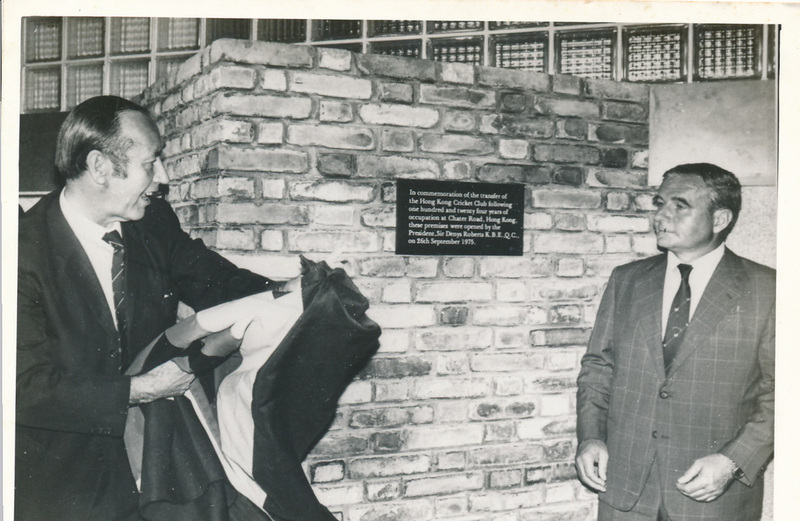 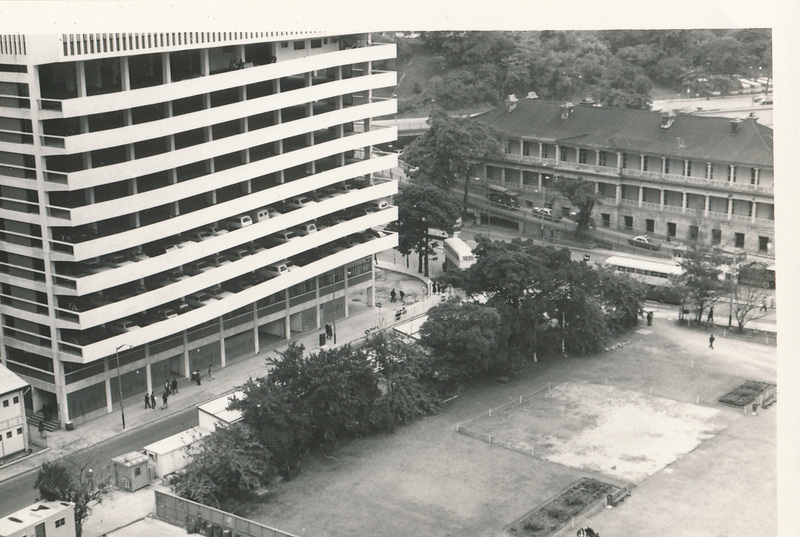 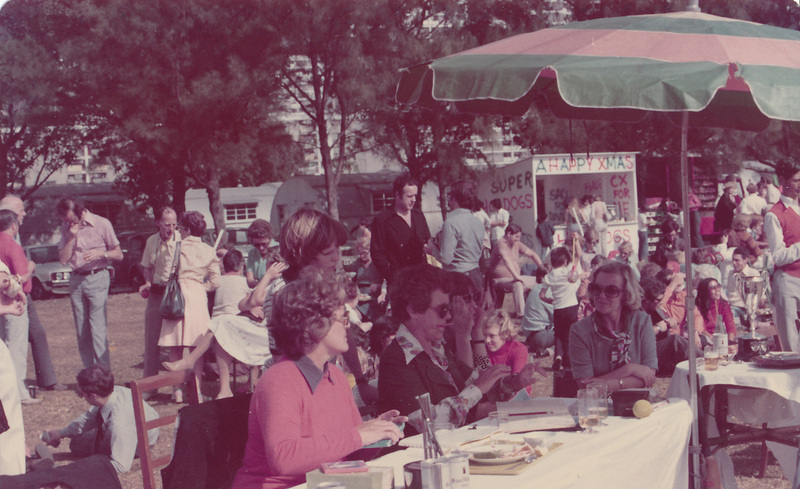 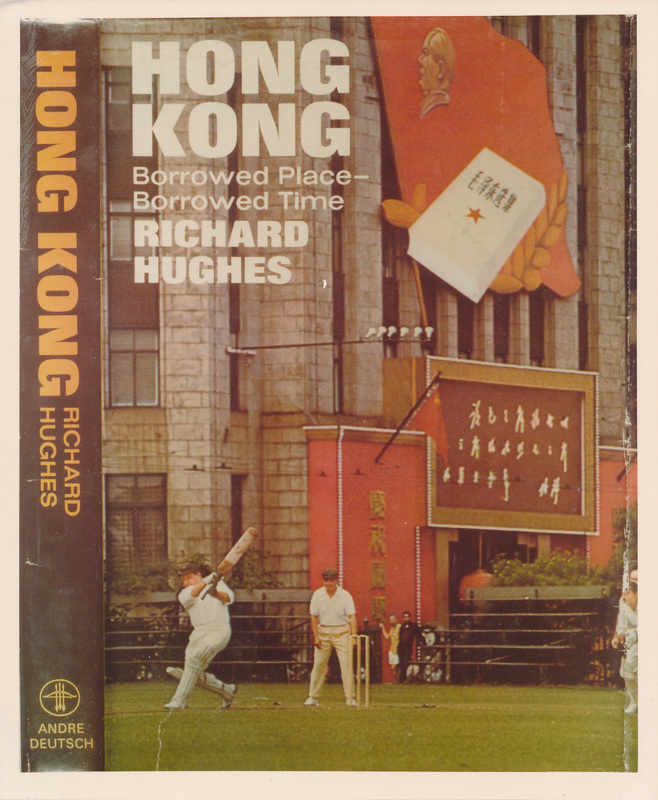 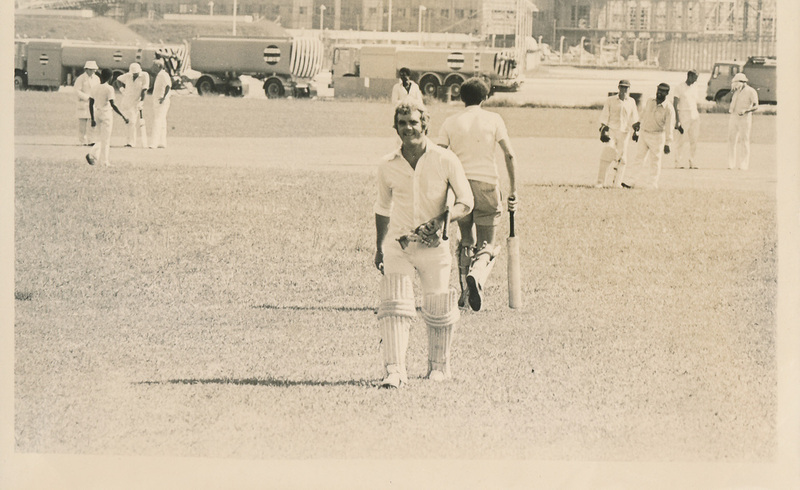 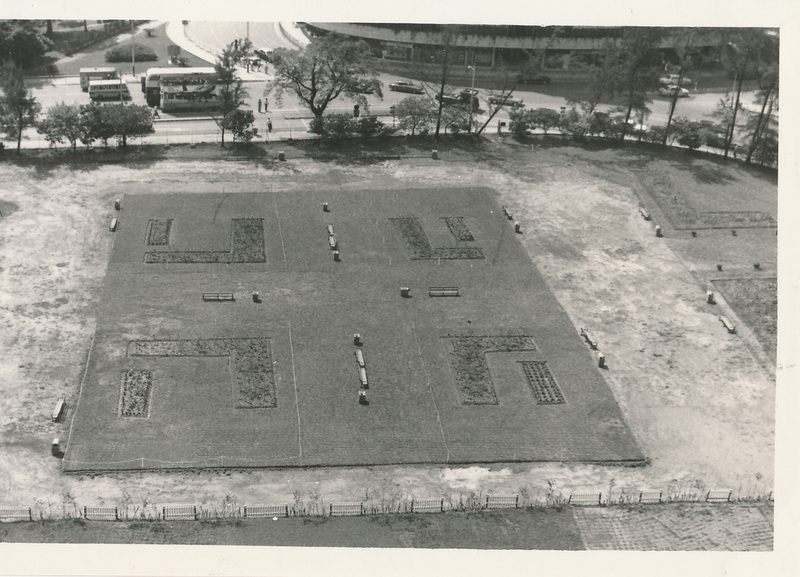 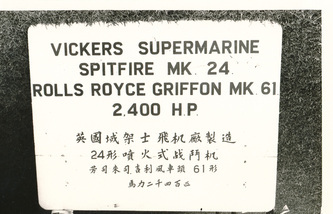 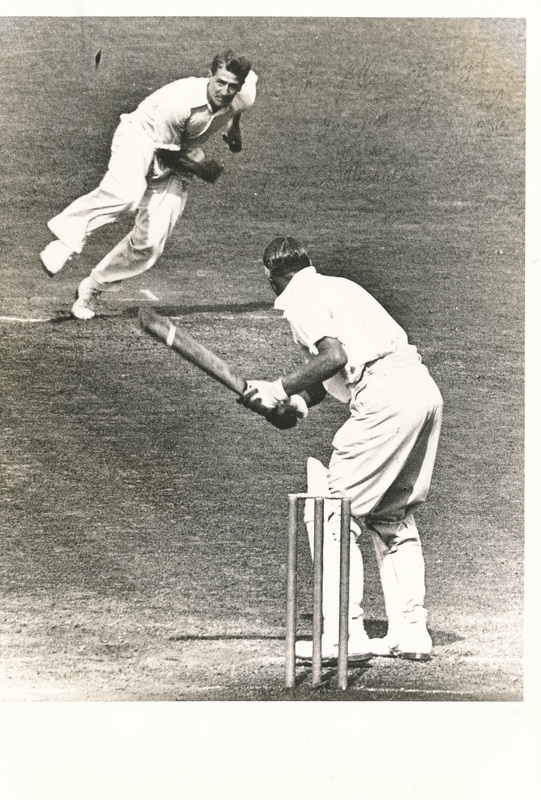 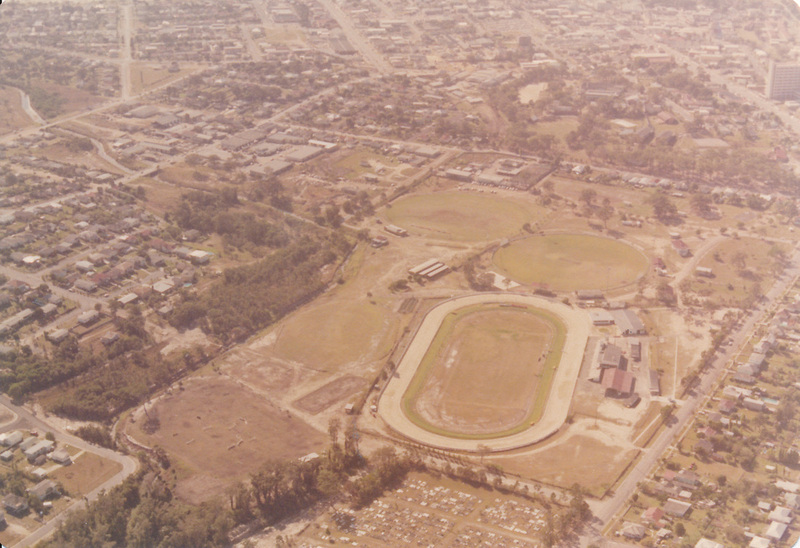 Above: Cover picture was taken on Sunday 1 October 1967 at the HKCC Chater Rd ground. 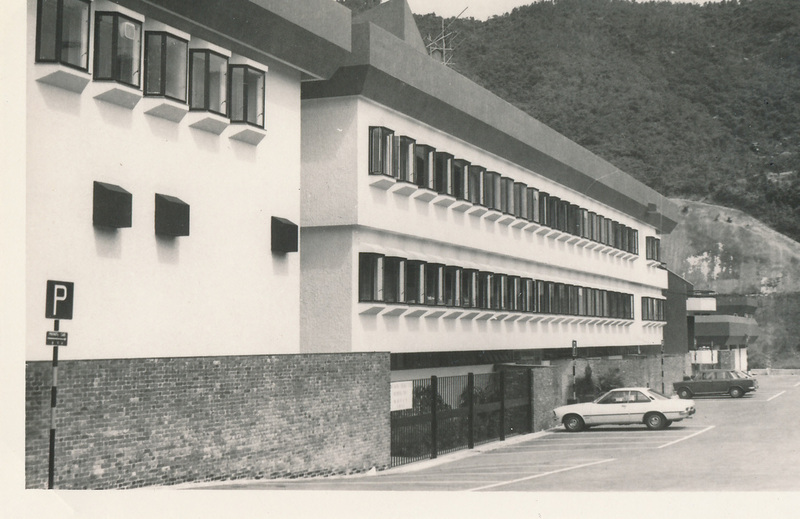 HK Bank of China with decorations for China's 18th National Day. 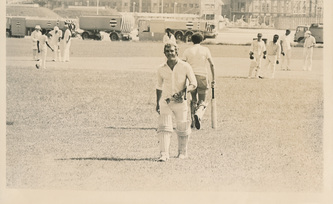 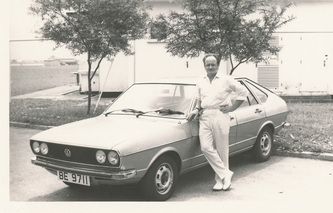 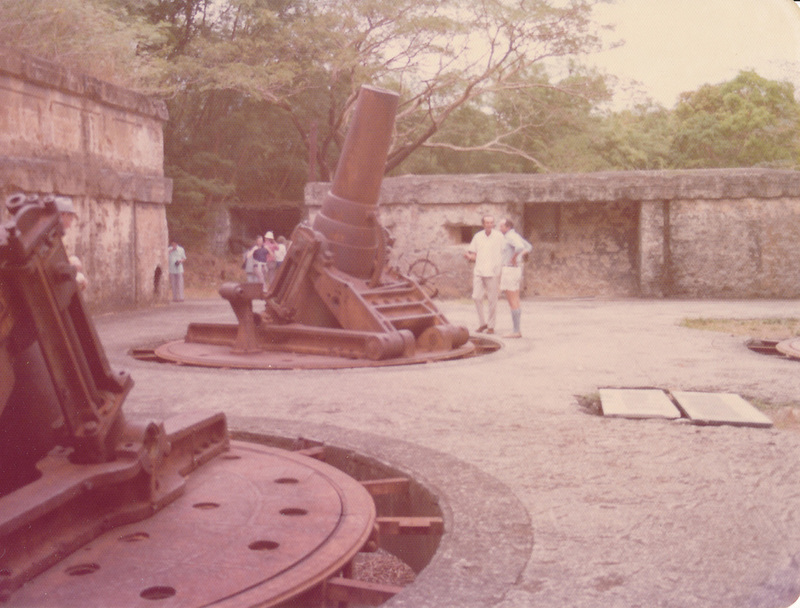 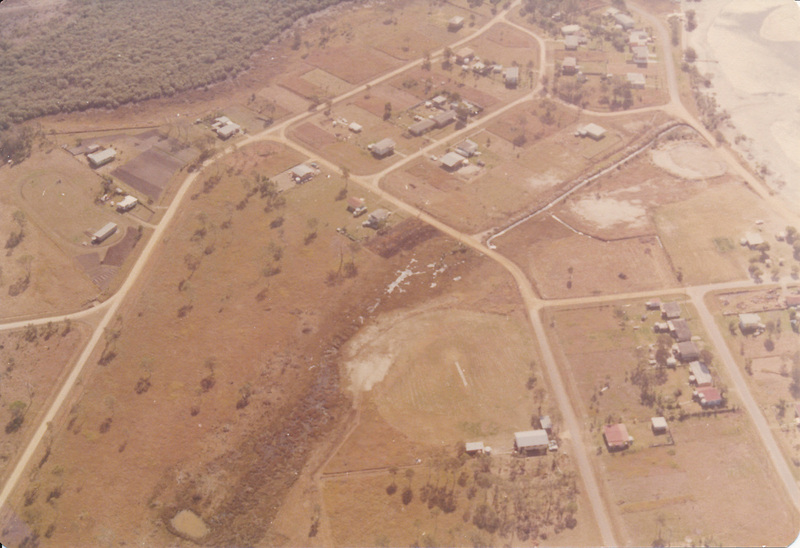 Photo shows Chic driving for '6'. 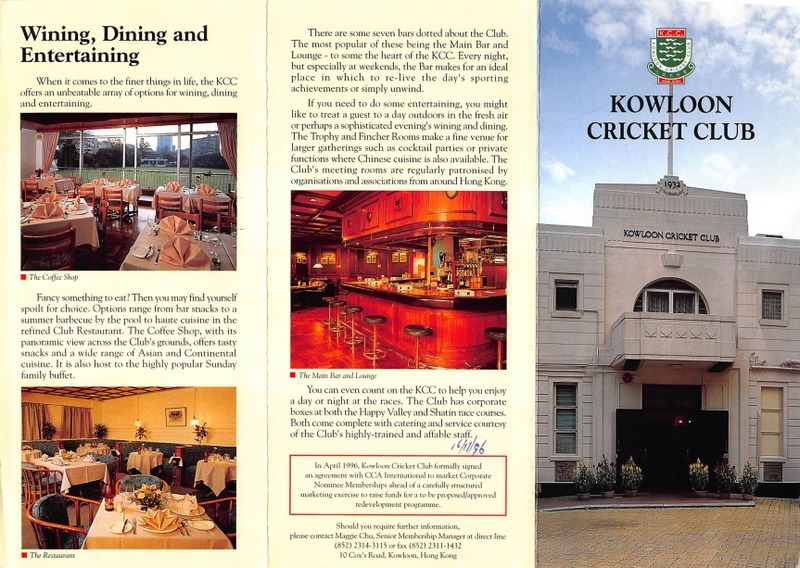 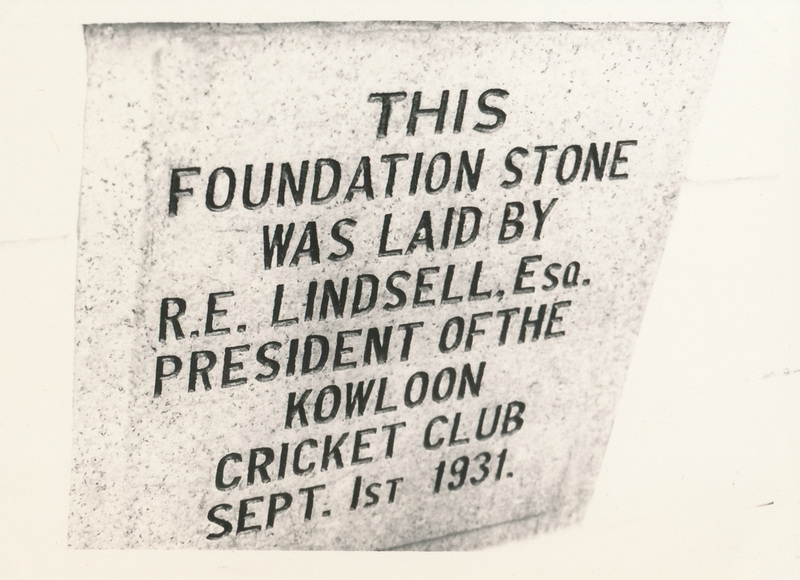 Kowloon Cricket Club (KCC) Cox's Path Kowloon. 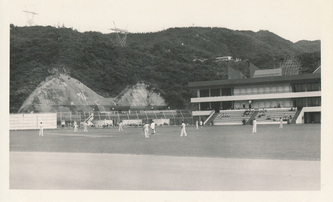 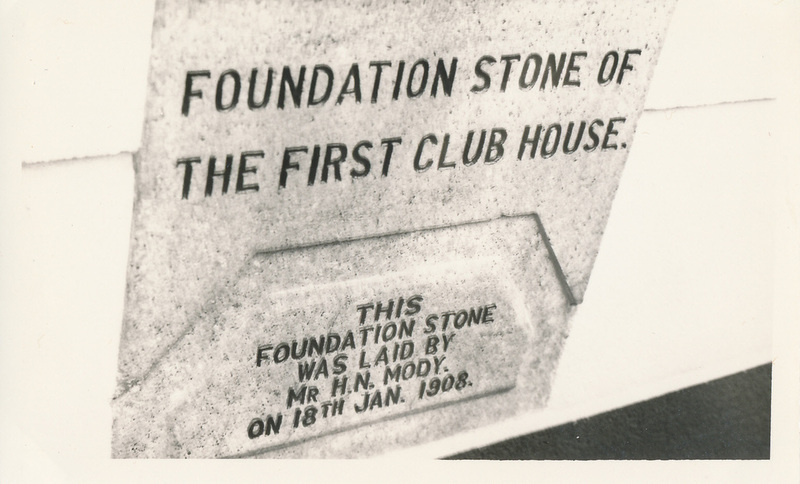 Entrance and club building. 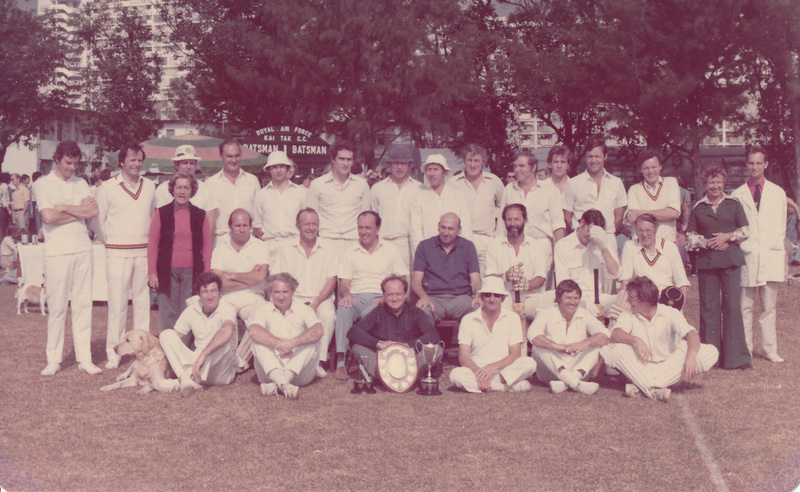 Little Sai Wan Cricket Eleven Vs University at L.S.W. 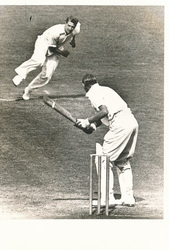 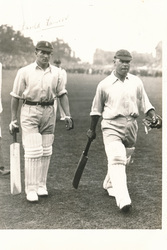 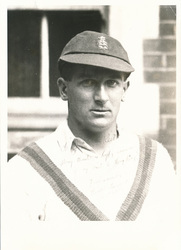 - Match won by L.S.W. 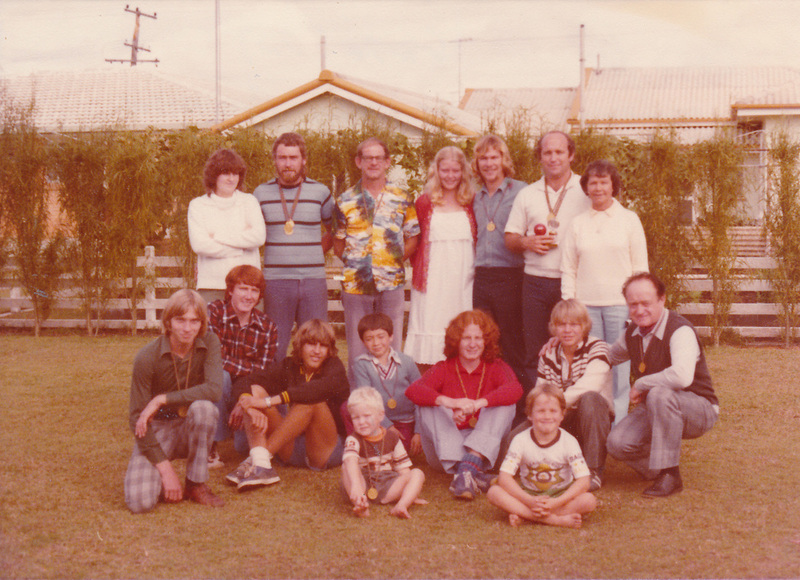 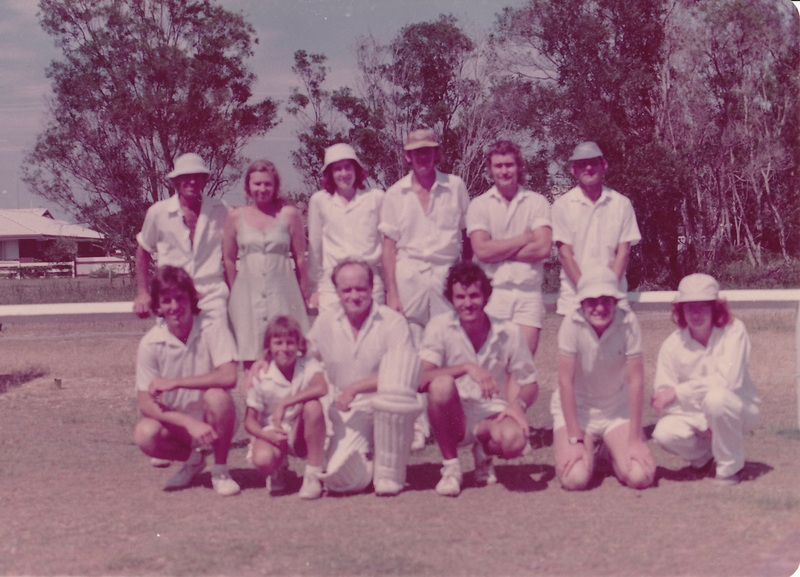 - 1st match of 1975/76 Saturday League Season. 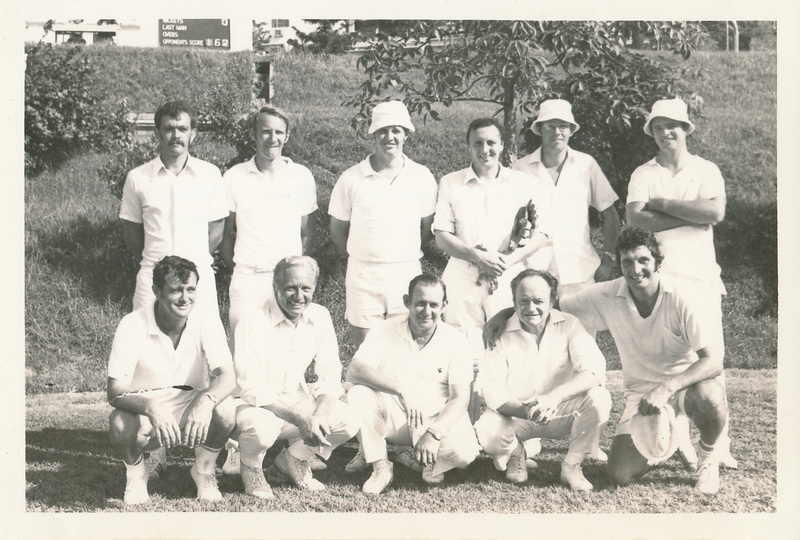 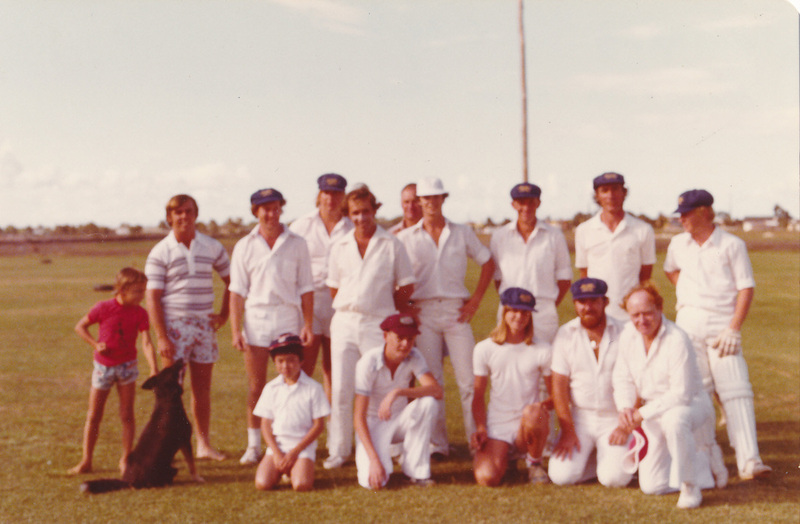 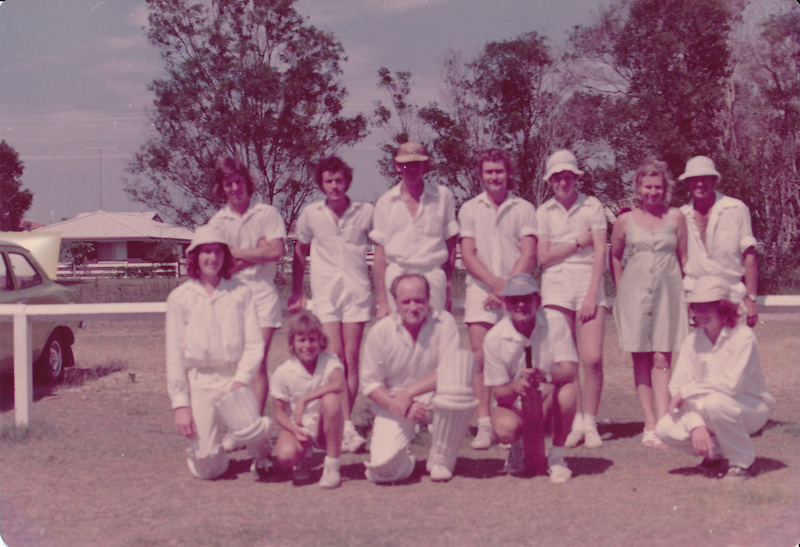 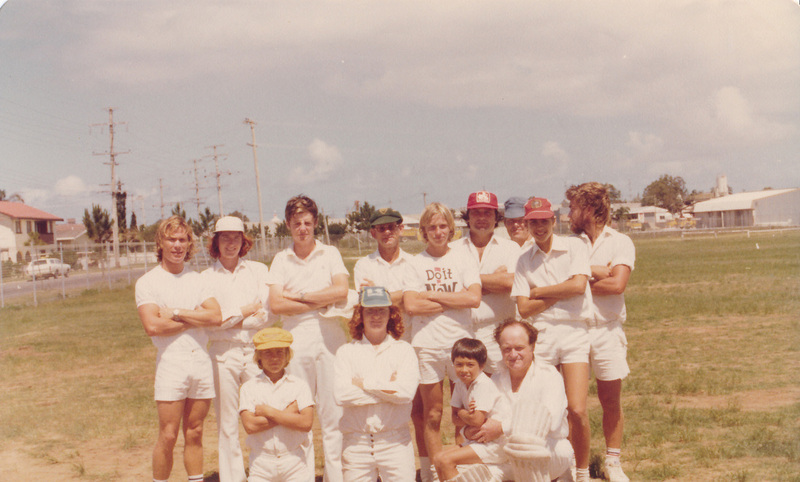 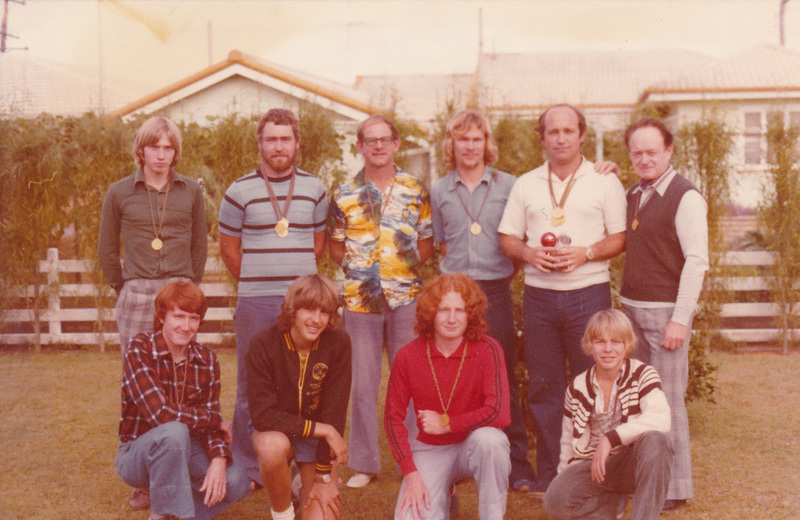 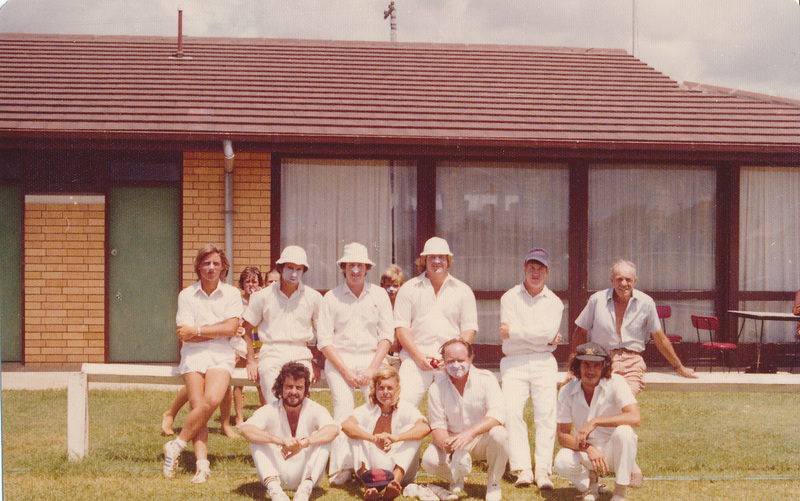 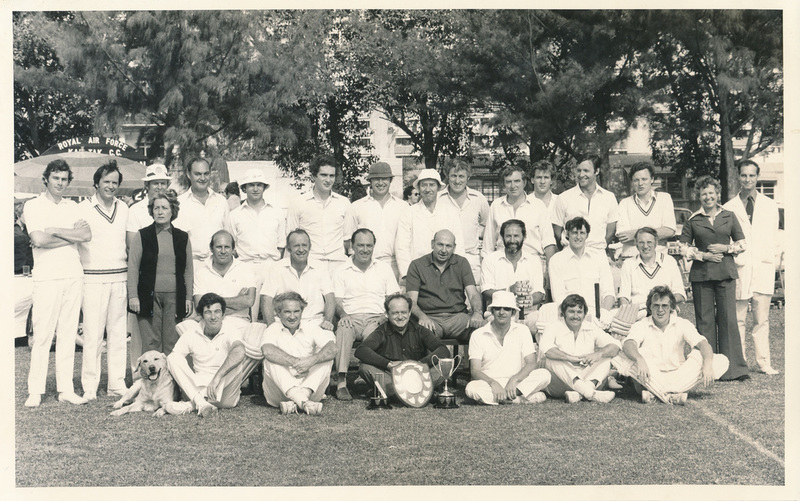 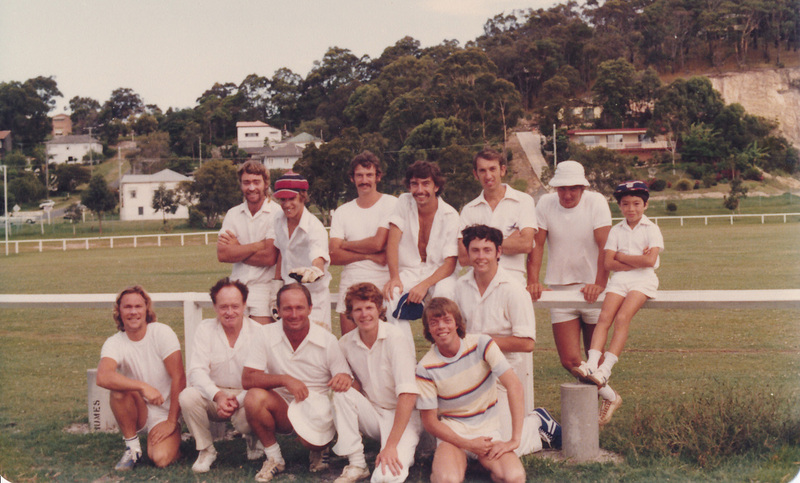 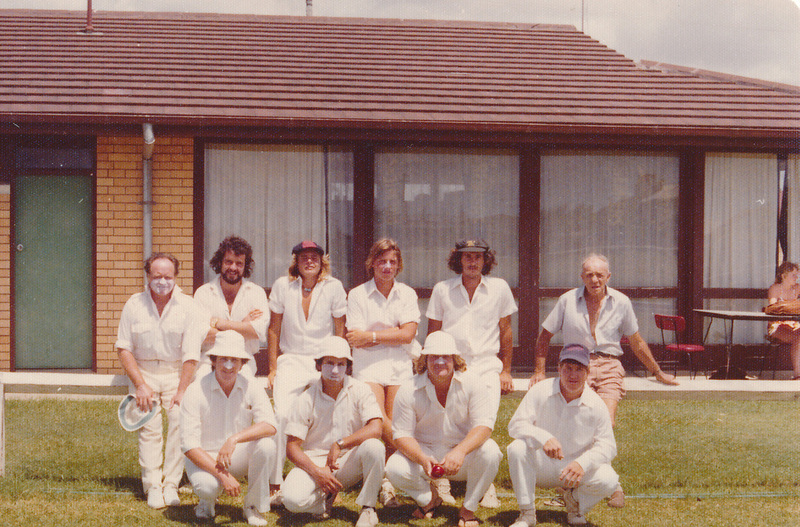 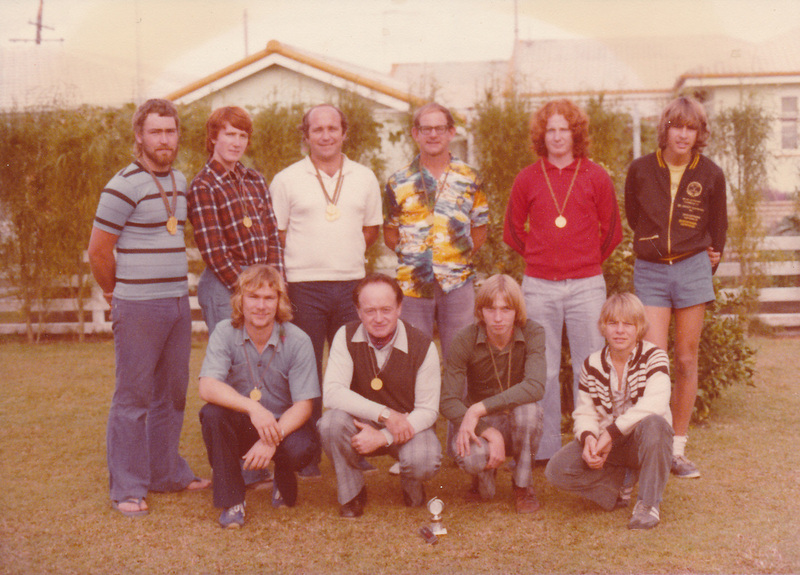 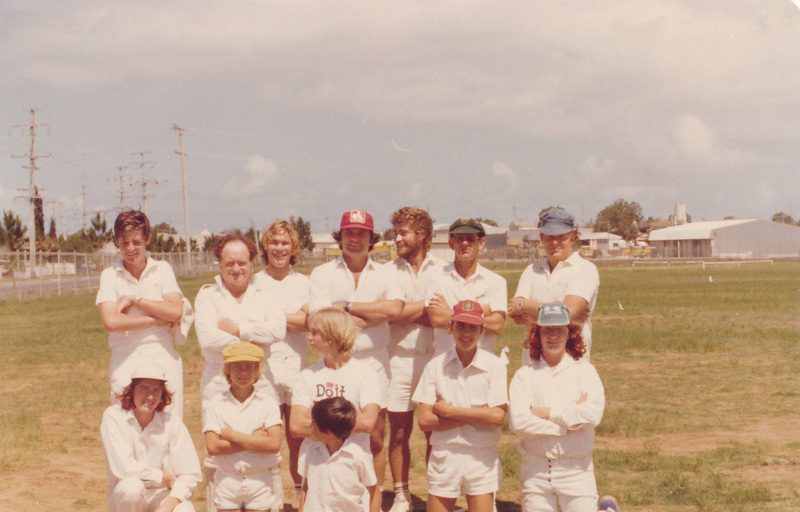 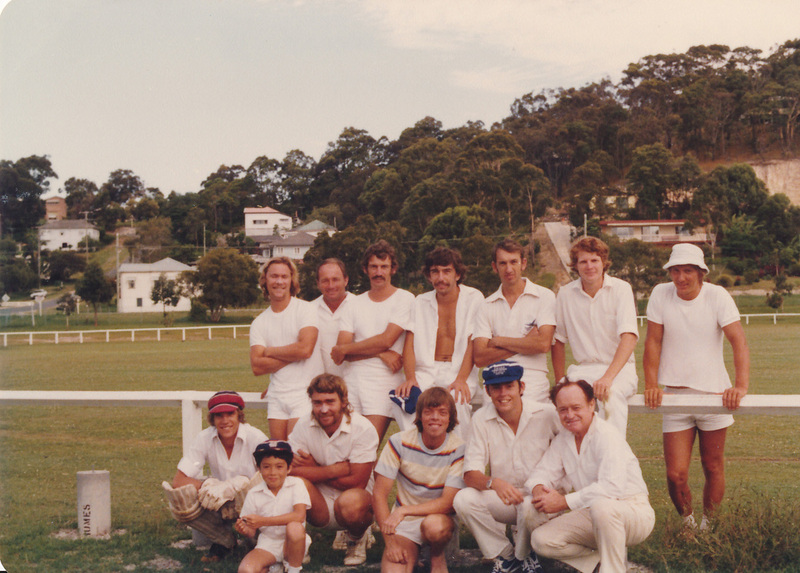 Annual Cricket Match CPA Vs John Swire & Sons (B&S) - 20.12.76 - Sir Denys Roberts centre back row (with white hat) and Chic seated centre front row. 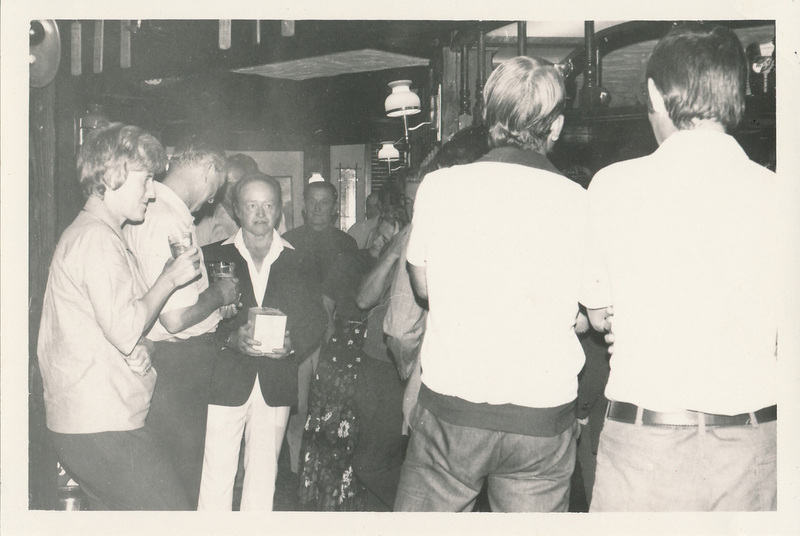 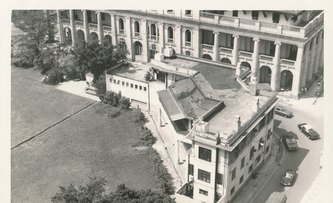 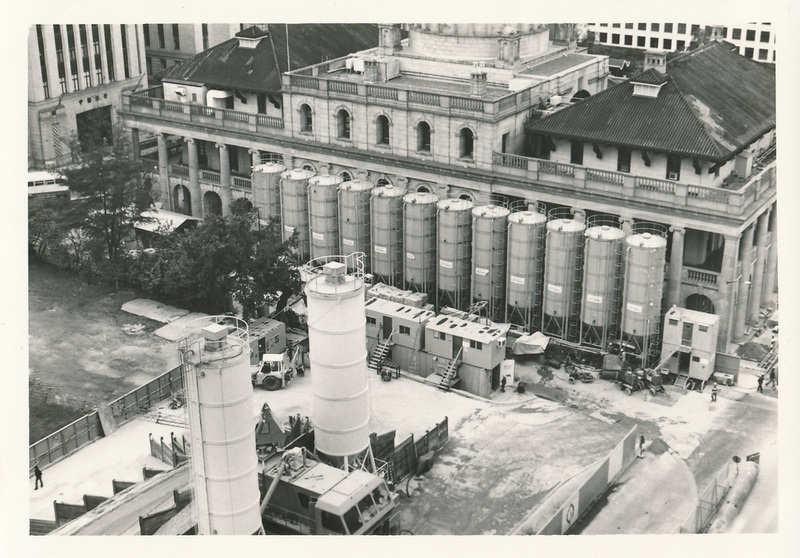 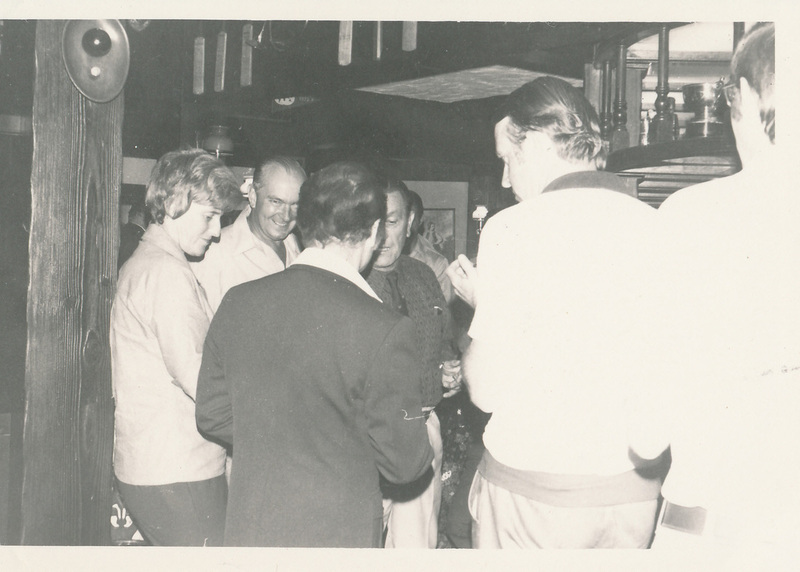 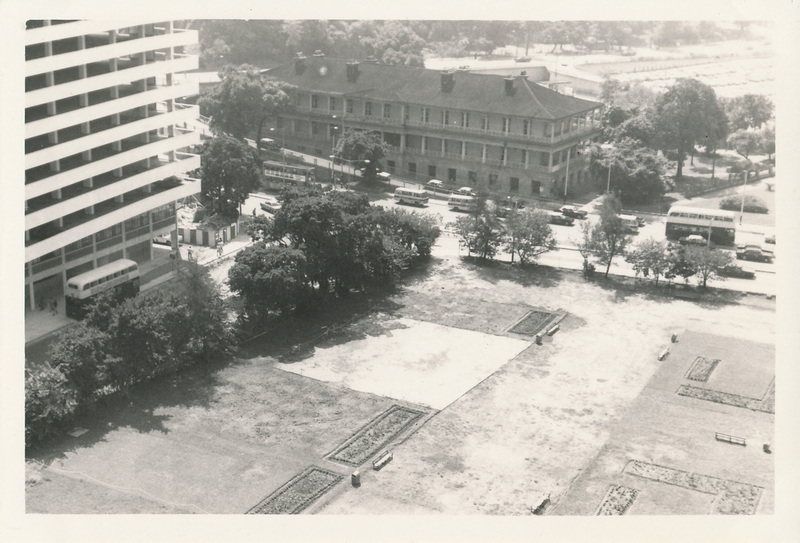 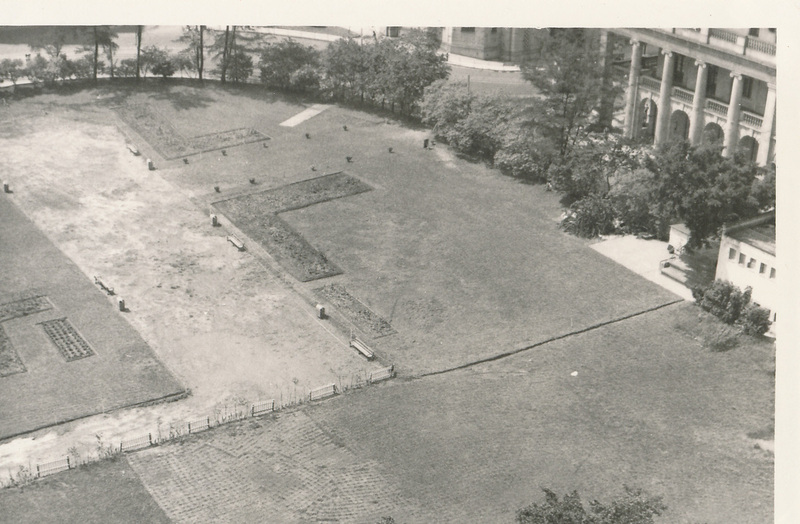 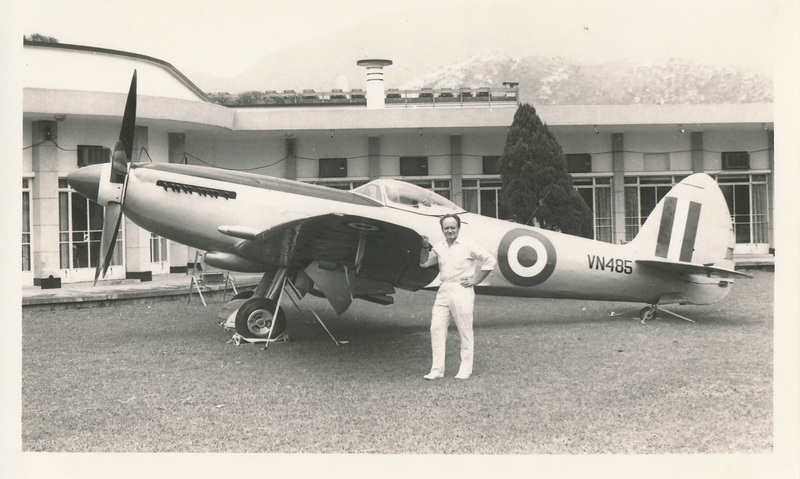 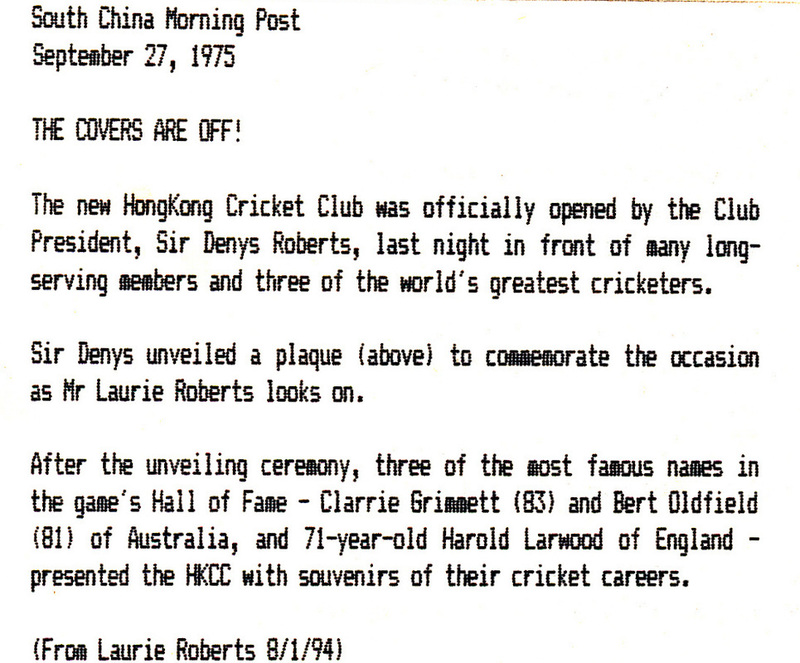 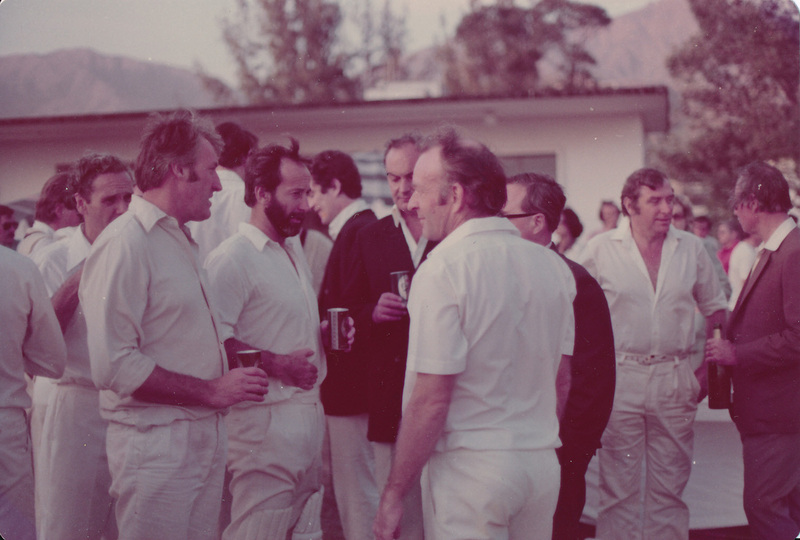 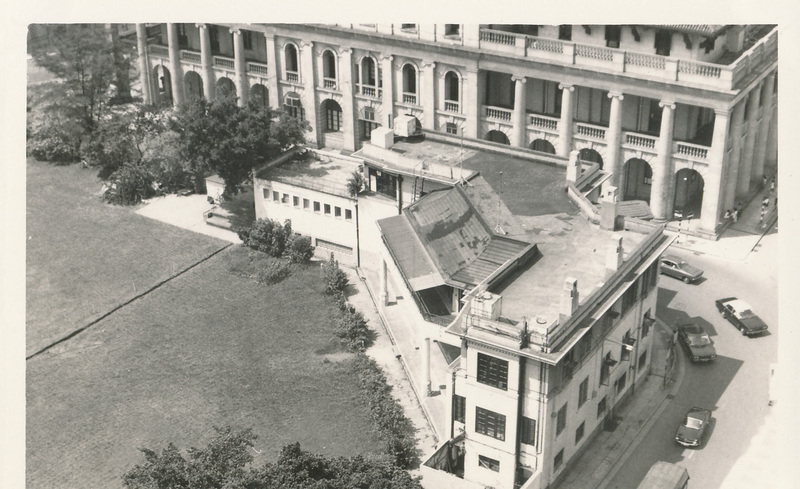 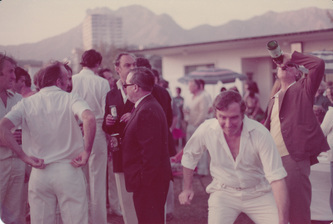 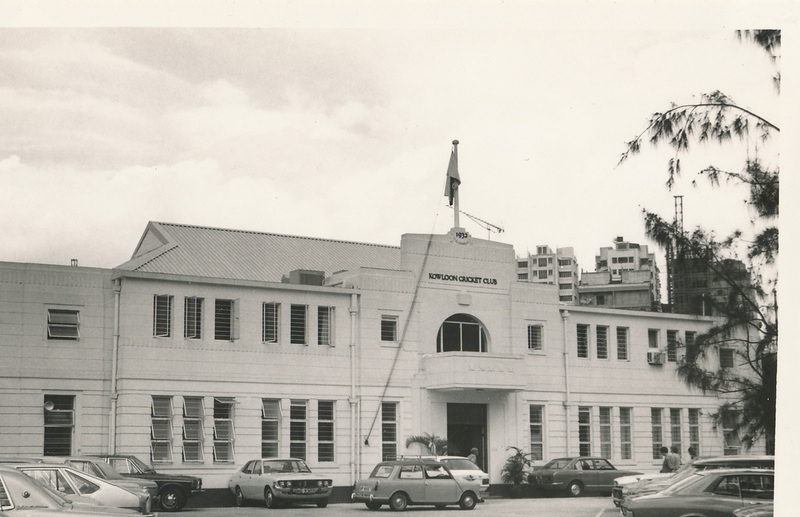 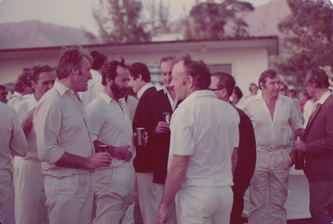 Views of old HKCC Cricket Ground - 6.1.77 From the Foreign Correspondents Club 15/F Sutherland House - showing equipment used by M.T.S. 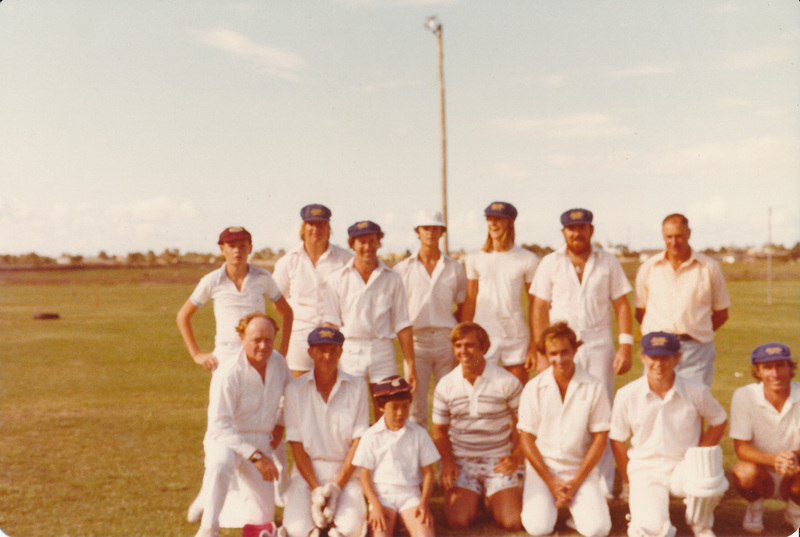 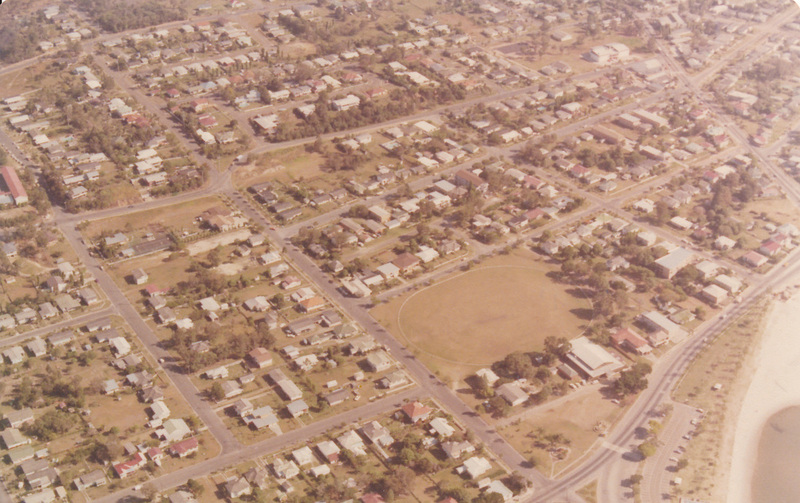 Pizzey Park Miami - Southport won.